Google AdWords is constantly changing! This webcast session will provide updates on the most recent changes and new features in the AdWords platform. 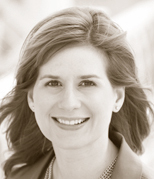 Anastasia Holdren is President of SEM Training, providing training and consulting for Google AdWords advertisers. Stasia is one of two Authorized AdWords Semi- nar Leaders. Working with Google, she piloted the Seminars for Success pro- gram in 2006. Since then, she has trained thousands of advertisers around the world.